I'm having annoying problem with my 2003 530D. Suddenly my brake rotors warped, steering started to shake badly when braking from highway speeds. Installed new TRW rotors, brake pads and rebuilt calipers. After 1000 miles my brake system start to develop same symptoms. All suspension parts are good, new front hubs, new tires, fresh alignment. Also my friend has the same symptoms with 2003 E46 330D. 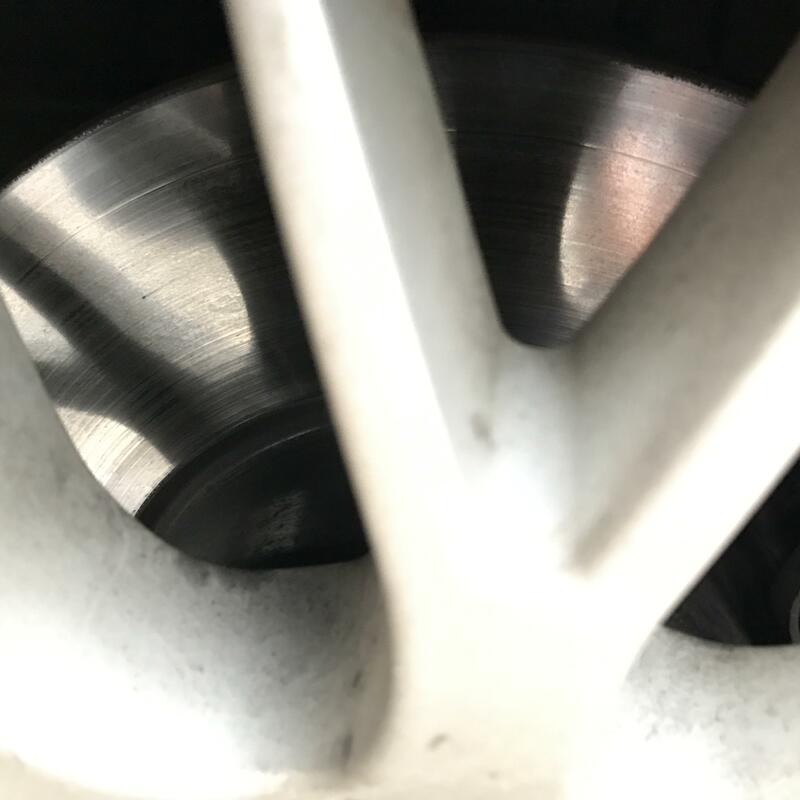 He tried ATE and TRW rotors, same problem. When he resurfaces warped rotors, its ok for another 1000 miles and steering starts to shake again. Are you sure they are warping? I had similar and new calipers solved it. I do occasionally get a judder but it's deposits building up and some hard stops clean up the discs. There is no way to check/verify the bushings, unless one sees an obvious sign of leaks from them. I had the symptom too but with a leak visible. When replacing the thrust arms, I tried push-pull and up-down stressing on the bushing ends on the failed arm,the old good (at least so far as I know) arm and the two new ones. I couldn't detect any difference. Yet the symptom disappeared. Further, TIS offers no comment or advice on a test method. So you may have that problem even though the bushings appear OK. I had one of those new bushings fail 80k km (50k miles) later, I installed Meyle HD bushings. I found ride character unchanged from the fluid filled design, just as many others have reported. I've only 50k km on the Meyle bushings so can't comment on life but by all reports they last virtually forever. I'll hypothesize that new brakes being OK for 1,000 miles & then a return of symptoms could still be bushings. The vibration & s/w shake is a result of the bushings failing to damp out tiny vibrations that then allows a vibration to resonate and grow, if the frequency is "correct". Which is why the bushing symptom is speed dependent. Brand new brakes will have minuscule shake or unevenness - not enough to exceed the bushing's reduced damping. After some miles there will inevitably be some unevenness build up - not enough to be detectable IF the bushings damp them out. But failed bushings don't and the front suspension resonates. Any chance your caliper overhaul was less than perfect? It's easy to miss a small fault. Also did you check rotor runout? Even a small amount will escalate over time as rubbing on the pad causes a vicious circle of increasing pad deposit at the high spot(s). And will be exacerbated by caliper even slightly sticky. But if brakes are the cause, one would expect to detect some effect at slow & moderate speeds with careful testing and attention. I vaguely recall the BMW runout spec is 0.002" max. BTW, I just now see Duncan-uk's comment re pad deposits vs actual warping. He's quite right. 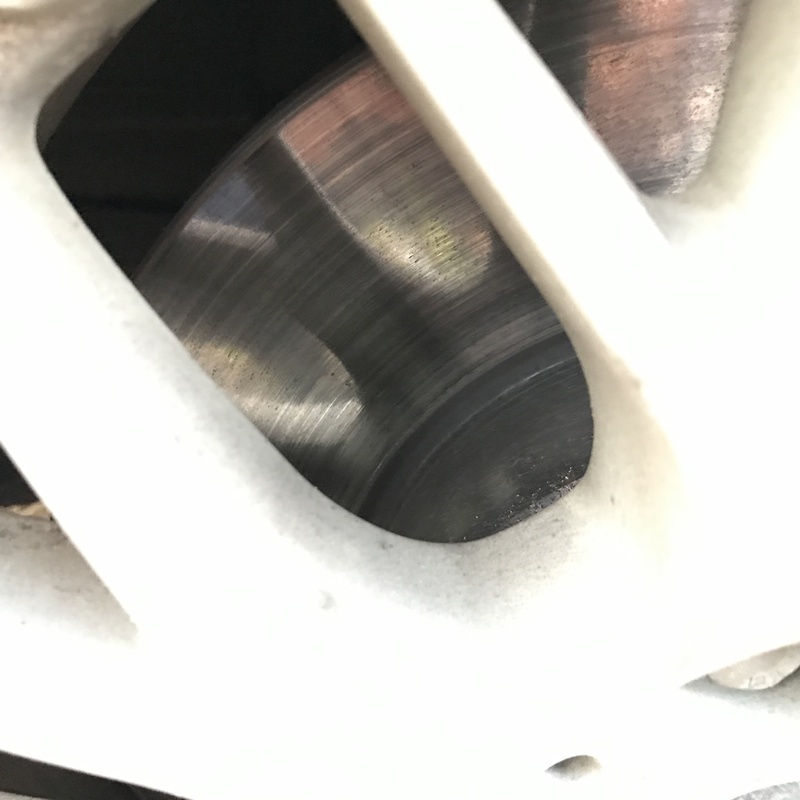 Most "warped" rotor are actually suffering from excessive, uneven pad deposits. Warping can occur, especially with cheap rotors, but it's quite rare. thrust arm bushes Ive read on lots of posts elsewhere are the culprits. Also possible wheel bearing slight play. Thank you for replies, guys! Thrust arms as well as front hubs are almost brand new. Installed less than 900 miles ago. Vibrations was before and after these jobs. 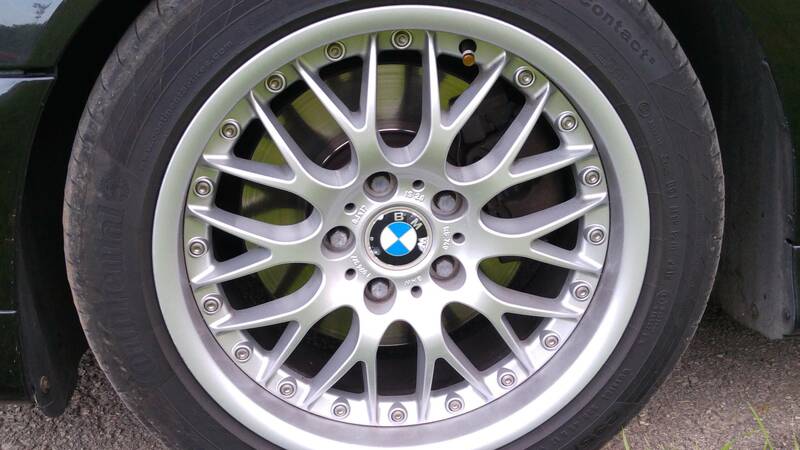 This weekend I tried brake bedding, followed these instructions - https://zeckhausen.com/catalog/index.php?cPath=6446_6443 For first 60 miles brakes were silky smooth, but now vibration slowly comes back, so I guess it should be something with brake deposits. I remember old rotors were almost smooth as mirror but on new there ar greyish deposits. As for calipers, it's not first time I do a rebuild. Pistons were fine without rust as well no rust inside in caliper. Brakes are not sticking. My money is still on calipers. wheel hub bearing Ive also heard sorts it. Whats the history of the car, is it a recent purchase? it could have been stood for a while prior to you getting it, as with any car they don't like being stood for long periods, things seize up, my money is with Duncan's analysis, the calipers, and don't discount the problem being with the back brakes either, next time you get a severe vibration pull in and feel each wheel for temperature, if one is hotter than the rest then you have isolated your problem. It could be caliper guide pins and bushings. Do you hear clunks/rattles when your brakes are not applied and you drive over irregular ground?